Make sure it is offered by an established and trustworthy provider – Get to know who is the owner of the Abruzzo villas for rent and verify their credibility and reputation. That way, you can be sure that you are doing business with credible and established property owners who are trusted by their customers. Get to know the villa – Determine the number of bedrooms and the maximum number of people it can accommodate. Learn about the living room, kitchen, entertainment features, and special features of the home to see if they can offer what you need for a comfortable and enjoyable stay. Find out where it is located, too. If you want more privacy, consider a villa that is away from the city, but within easy reach of shops, restaurants, and other attractions. Read reviews about the place – You can learn a lot about the villa and its owners from customer testimonials and feedback, so be sure to look them up. 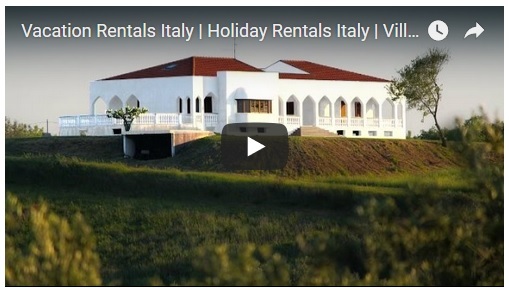 Consider Abruzzo villas for rent that get a lot of repeat customers and referrals. Beware of properties with a lot of bad reviews regarding the upkeep, quality of the facilities, and their landlords. Look beyond the website or social media pages – If possible, look up photos of the villa from people who have actually stayed in it, so you can verify the actual quality of the property from the perspective of those occupants. Some photos from the villa’s official website or page can be misleading, as they are typically shot to impress or to make the place look more spacious, brighter, or more enticing than it really is. Some villa owners offer video or virtual tours, so take advantage of that. This entry was posted in Things you need to know about Abruzzo and tagged Abruzzo Vacation Rentals, Best vacation rentals Abruzzo, Booking vacation rentals Abruzzo. Bookmark the permalink.